Spring has sprung, Arizonans! Everyone’s been buzzing about the poppy “superbloom” in California, but these cheerful wildflowers have been putting on a spectacular show here in the Grand Canyon State as well. Here are eight of the best places to see them this spring. You only have a few weeks before they start closing up, so don’t waste any time! The Google Map route with exact directions can be found here. This season is proving to be one of the most fruitful Estrella Mountain Regional Park has seen in quite some time. 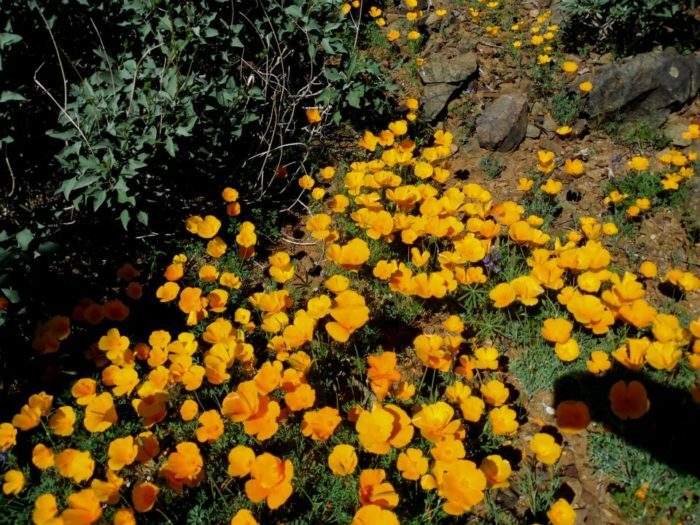 Rainbow Valley Trail, a 3.8-mile loop that’s suitable for all skill levels, is the best place to spot poppies. You'll find the trail on the west end of the parking lot. The park is located at W Vineyard Ave., Goodyear, AZ 85338. 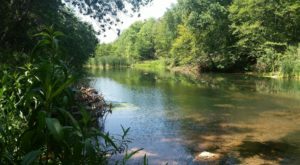 With a whopping 40 miles of trails, this popular park boasts plenty of opportunities to see springtime blooms. 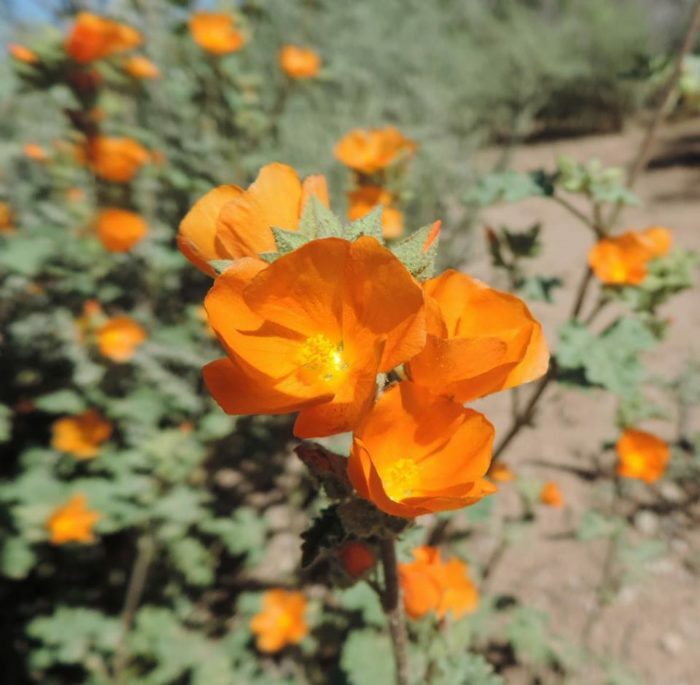 Vibrant orange poppies abound on Goat Camp, South, and Waddell Trails, as do brittlebush, chicory, and several other flowers. You'll find the White Tanks at 20304 W White Tank Mountain Rd., Waddell, AZ 85355. 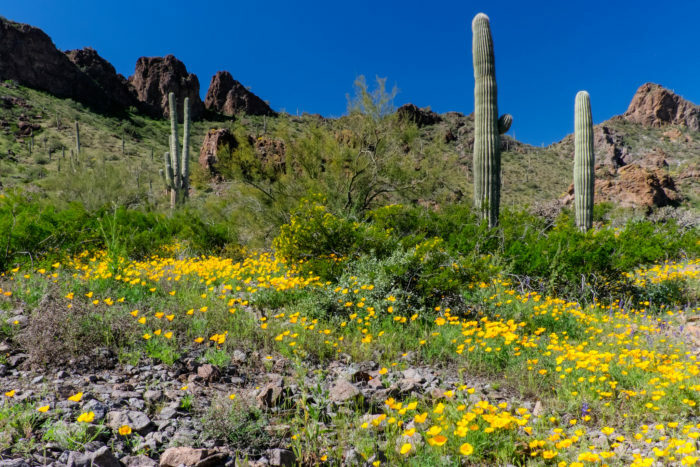 Wildflower season peaks slightly later at Cave Creek, so there's still plenty of time to experience the enchantment. Clocking in at 5.9 miles, the easy Go John Trail is your best bet. Not an inch of terrain is without these breathtaking orange blossoms. Come witness the phenomenon firsthand at 37019 N Lava Ln., Cave Creek, AZ 85331. 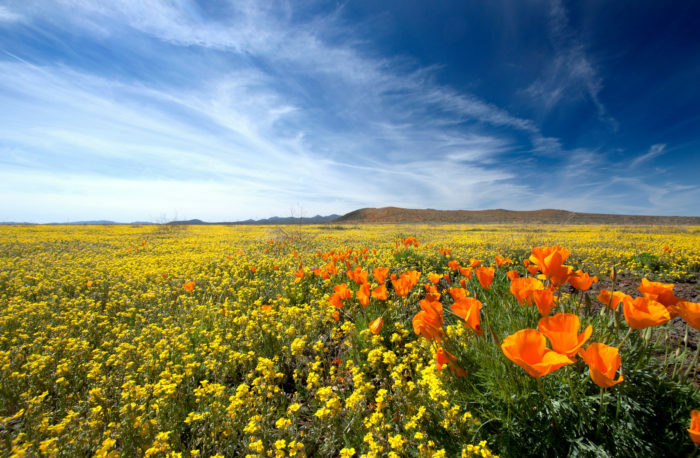 Over 200 miles of trails wind through this expansive natural area, providing endless poppy sightings all season long. With so many hikes, you could visit every day and get a different view! Lost Dog Wash Trail, Gateway Trail Loop, and Marcus Landslide Trail offer the most striking scenes. 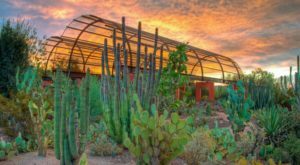 The preserve is located at 18333 N Thompson Peak Pkwy., Scottsdale, AZ 85260. 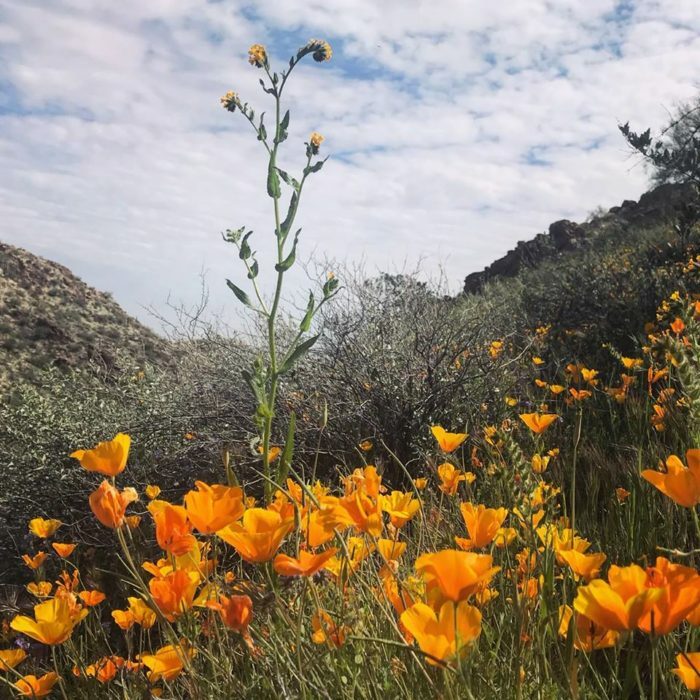 Arizonans rush to South Mountain Park every spring, as it promises awe-inspiring wildflower vistas following winters with heavy precipitation. This year falls into that category, and the turnout has been spectacular thus far. 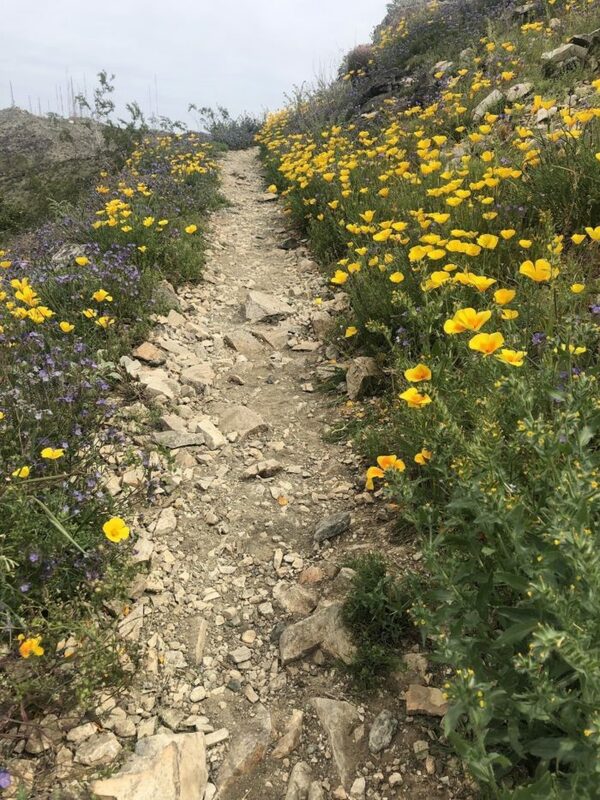 The Bajada and Ranger Trails never disappoint, featuring vibrant poppies and an impressive array of other wildflowers as well. 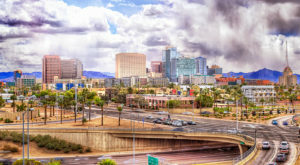 You'll find the park's entrance at 10919 S Central Ave., Phoenix, AZ 85042. Whether you're looking to take a leisurely stroll or really test your body's limits, Usery Mountain has the perfect trail for every fitness goal. 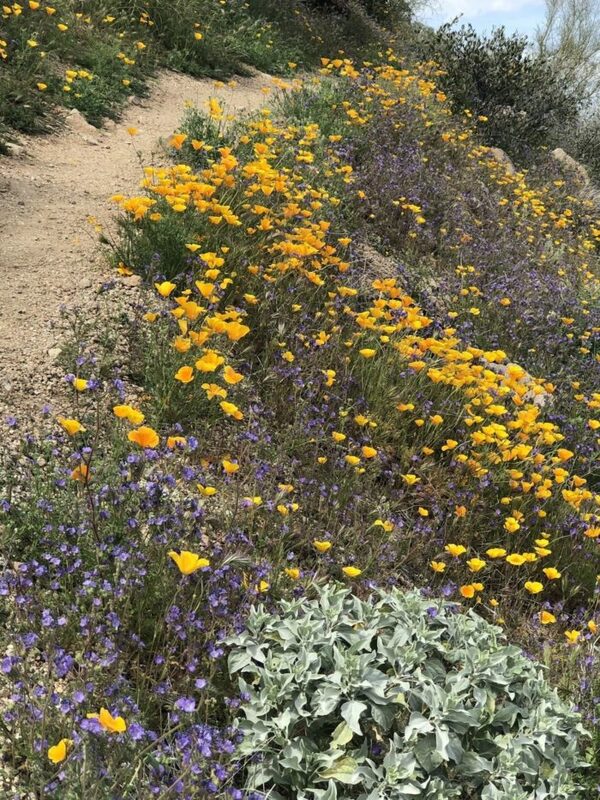 No matter what path you choose, rest assured there'll be plenty of blooms along the way. Try Merkle Trail for an easier option, or take on Pass Mountain Loop if you want to break a sweat. Both trails are lined with thousands of poppies throughout the entire route! 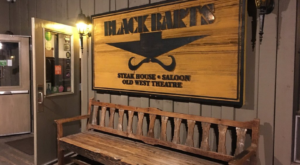 Head to 3939 Usery Pass Rd., Mesa, AZ 85207 and witness the magic up-close. One of the most famous wildflower destinations, Picacho Peak has trails ranging in length from 0.2 to 3.1 miles. A sea of poppies extends endlessly into the distance, offering mesmerizing views everywhere you look. Follow the Calloway Trail to a scenic overlook for an unparalleled hiking experience. We've saved the best for last: Peridot Mesa. 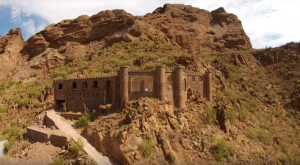 This incredible place is like a scene from Wizard of Oz (or perhaps even more beautiful)! The best times to visit are in the morning or early afternoon, as the blooms begin closing up in the later afternoon and evening. Who’s ready to take this unforgettable trip? 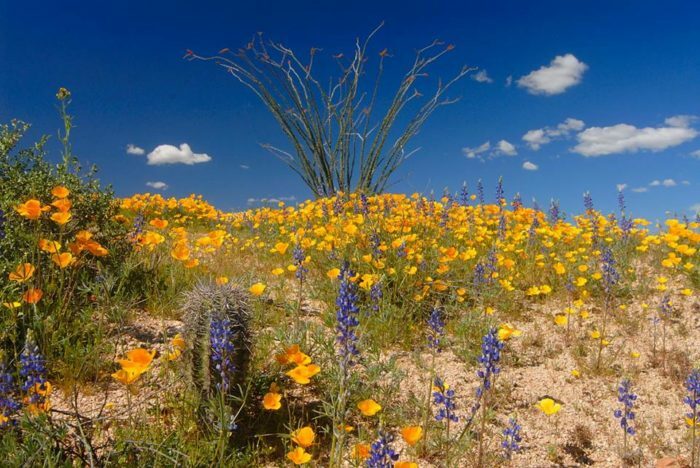 Are there any other places to see epic wildflower blooms in Arizona? 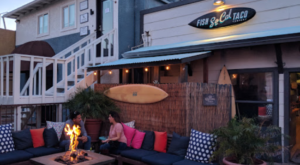 Let us know your favorite spots! 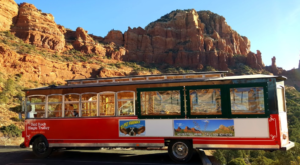 If this road trip still doesn’t satisfy your wanderlust, check out This Scenic Road Trip Takes You To All 7 Wonders Of Arizona.